We are excited to announce that Stephen and Eileen McDaniel's new book "Rapid Graphs with Tableau Software 6" is now available for purchase on Amazon. A complimentary preview of the first two chapters and the table of contents are available for your review at Freakalytics. 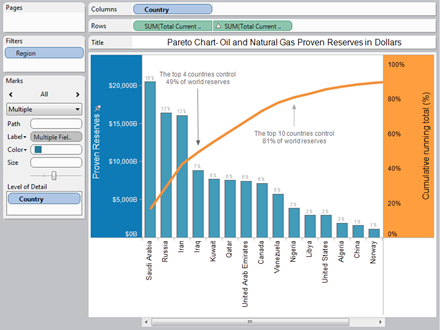 download an excerpt from the book on creating combination charts in Tableau. Covering all aspects of Tableau 6 including new features like the data engine, data blending, calculations and parameters, the book is a great guide for new and current users alike. Freakalytics has also developed a new quick reference guide with 64 tips for building better graphs and dashboards- complete with color illustrations. It is available as both a mobile app and as a hard copy reference card for your desktop. You can get the free app for both the iPhone and Android devices. In the iPhone App Store, search for “Rapid Dashboards” and in the Android Market, search for “Rapid Graphs and Dashboards” to install your free copy. A hard-copy of four full-color, laminated pages, with all 64 tips, is listed on Amazon. The “Rapid Dashboards Reference Card” serves as a handy reference for displaying your data, whether you are analyzing data at your desk, collaborating with your team, or presenting results to your customers. Fans of the card often use it as a “menu” to give their audience the chance to pick out the graphs they want. Freakalytics will also post many of the tips from the reference card to their site over the coming months. Note: Rapid Graphs with Tableau Software 6 is now available for purchase on Amazon in print and in e-book format for the PC, iPad, Mac, iPhone and Kindle readers.